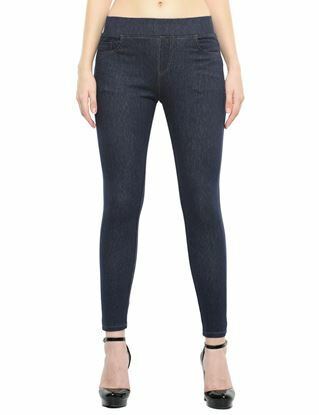 Fashioned with 5 pockets, slip-on closure and an elasticated waistband, this pair of indigo wash jeggings proves to be a reliable wardrobe companion. The stretch in fabric and the softness of fabric lets your skin breathe in and providing you the utmost comfort. 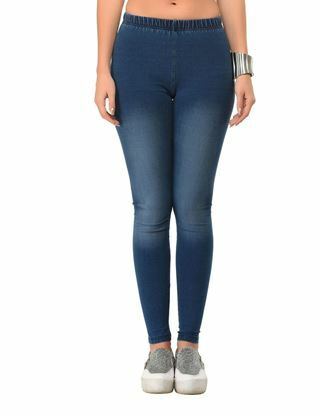 Up your fashion game with this amazing pair of jeggings.